Pandemonium is the second book in the Delirium Trilogy by Lauren Oliver. This book fluctuates from Lena's perspective Then and Now. Then being the time after the last book ended. Now being Lena's present time. I have to say I enjoyed her Now perspective better, but we really needed the Then perspective to know how she got where she was. We get introduced to new characters. I have some clear favorites, and some that made me so mad. Even Lena frustrated me at times. She's definitely made progress, but she's still not fully come into her own. I think she's got some more growing to do, but this is expected considering the life she's lived up until now. Her world has been turned on its head, and she doesn't know how to deal with it all yet. It's only going to get worse. I really like Julian. I didn't want to. I thought I was completely Team Alex, and I was worried I wouldn't like this book because there may or may not be an Alex in it, but Julian is a keeper. The ending to this book was so much better than the first, even though I saw it coming. I absolutely love the premise behind this Trilogy. Love being a thought of as a disease is a completely unique concept that I haven't seen in another book before. 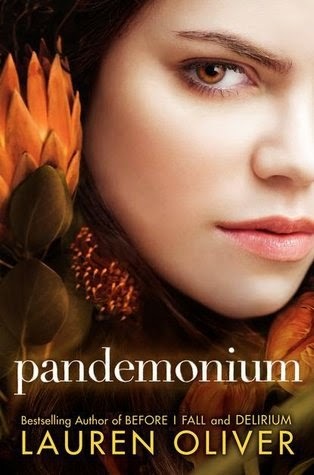 Some big stuff went down in Pandemonium and everyone's life is about to change because of it.. even the cured. It's going to be interesting. I can't wait to get started on Requiem, which I'll be doing today! “I—I can’t describe it.” I force the words out. Can’t breathe, can’t breathe, can’t breathe. His skin smells like smoke from a wood fire, like soap, like heaven. I imagine tasting his skin; I imagine biting his lips. 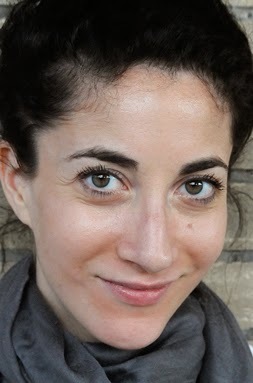 To learn more about Lauren Oliver and her books, visit her website. You can also find her on Goodreads, Twitter, and Facebook.